Low profile waterfalls with lots of water action become the focal point of a swimming pool, and they can be used for seating or play because they are made of concrete. 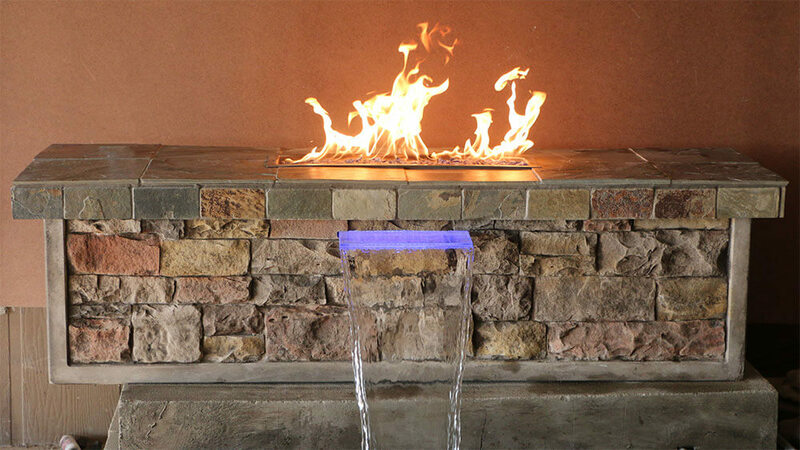 These waterfalls work best for small ponds or pondless applications where the water disappears into a below grade vault. One of a kind rustic products are usually expensive and sometimes not practical. Our country looking products are designed to be affordable and make city living a little nicer. 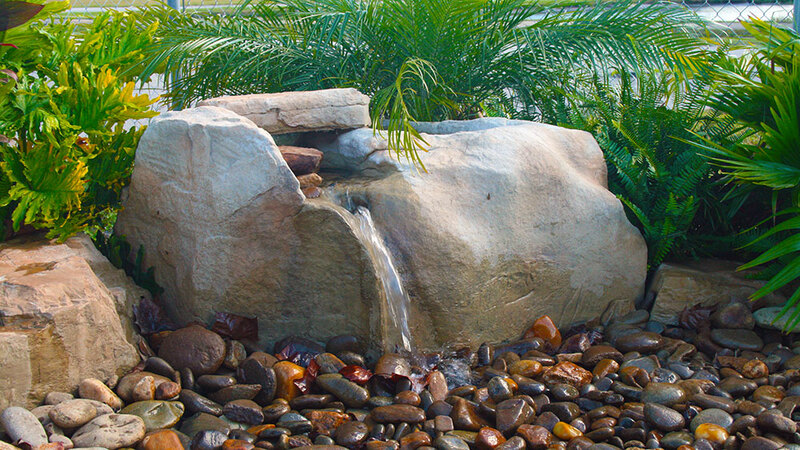 Want one of our artificial rock products for your backyard?